Wycombe Town FC: 'TOWN' SPANK BEACONS BOTTOM! 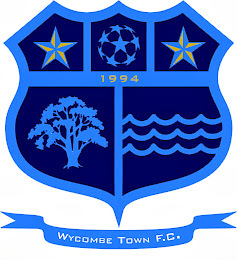 Wycombe Town FC hosted FC Beacons Bottom in a very one sided game where Town were 7-0 by half time and ran out 14-0 winners. Town are only five games into the season, with virtiually a new team and are really begining to gel together playing some great passing football. Delroy Howell topped the scoreres with 4, 'Boxer' Nicol, Micheal Buther and Rikki Gilbert got 3 each and captain Darren Crane got 1 to make it 14-0. 'Town' Reserves are still waiting to hit their full potential and slipped to a 3-1 defeat away to Roundabout FC.